Bharatiya Janata Party (BJP) National President Amit Shah on Saturday attacked West Bengal chief minister Mamata Banerjee for opposing the National Register of Citizens (NRC) and accused her of compromising the interests of Indians in Assam and West Bengal for her vote bank politics. Reacting to Banerjee's criticism on the NRC draft, the BJP chief during a public rally in Kolkata also accused Banerjee of protecting illegal immigrants. "Should Bangladeshi immigrants not be thrown out of the country? We want to ask Mamata Banerjee why is she protecting Bangladeshi infiltrators? All Mamata ji has done is to object the NRC. But the NRC is the process to throw illegal immigrants out. She (Mamata) is compromising with the interests of Indians in Assam and West Bengal for her vote bank politics. But for us country comes first before vote bank. Oppose us as much as you want but we will not stall the process of NRC," he said. The BJP supremo also dragged Congress president Rahul Gandhi into the controversy. "Rahul Gandhi is also not clarifying his stand on the issue. This is because of Congress' vote-bank politics," he said while adding that both Banerjee and Gandhi cannot stop the BJP from carrying out the NRC. "The BJP will make sure that the NRC is carried out peacefully in Assam. Neither West Bengal chief minister nor Rahul Gandhi can stop the BJP from doing it," Shah asserted. Steeping up political attack on Trinamool Congress (TMC), Shah accused the party of promoting corruption in West Bengal. "Corruption is flourishing in the state since the party came to power. Ever since Banerjee became the chief minister of the state, West Bengal has seen scam after scam," he added and cited the example of Narda scam and Sharda chit-fund scam to ascertain his claim. He asserted that the state is going to witness a change and the BJP is going to uproot TMC. Meanwhile, Shah blamed Banerjee for disrupting the broadcast of his rally on all Bengali channels in the state. "Signals of all Bengali channels have been lowered so that people will not be able to watch us. But even if you try to suppress our voices, we will go to every district of Bengal and throw TMC out. All Bangla TV news channels have been blacked out the rally. We are not against West Bengal, but we are definitely against Mamata Banerjee. I am here to protest against the TMC," Shah said. Union minister and Bharatiya Janata Party (BJP) leader Babul Supriyo took to Twitter to comment: "Reliable sources confirm #SitiCable owner Sri Suresh Sethia was threatened yesterday & forced to Black Out Prime Bengali News Channels Blocking the Live Telecast of Sri @AmitShah ji's Rally&Speech. It didn't work cuz National Channels r reaching it LIVE to the Hearts of WB." Banerjee has been consistently disapproving the latest NRC draft, which has left out nearly 40 lakh people in Assam while incorporating names of 2.89 crore people out of 3.29 crore applicants. Accusing BJP of vendetta politics, Banerjee had said that the party was targeting people, particularly the minorities, in the wake of general elections scheduled in 2019. The Opposition parties, including, the Congress have been vociferous against the draft. Congress president Rahul Gandhi took to Twitter to criticise the draft, and said the "execution of the critical and highly sensitive exercise is tardy". The first draft was published on December 31, 2017, and names of 1.9 crore of the 3.29 crore applicants were incorporated. The NRC draft features the names, addresses and photographs of all Indian citizens, who have been residing in the northeastern state before March 25, 1971. Earlier, Shah was shown black flags by youth Congress workers when he came out of the NSC Bose International airport in Kolkata to attend the rally in central part of the city on Saturday. Earlier, posters reading 'Anti-Bengal BJP Go Back' were seen put up around Mayo Road, in the heart of the city. On Friday, the delegation comprised of BJP's national general secretaries Kailash Vijayvargiya and P Muralidhar Rao went to Mayo Road and took stock of the preparations and security arrangements for Shah's rally. The state BJP unit alleged that the placards with messages - "BJP, leave Bengal" and "anti-Bengal BJP go back" - were put up by Trinamool Congress (TMC) cadres, a charge denied by the ruling party. "This shows that the TMC is afraid of our rally tomorrow. The days of TMC are numbered in Bengal. The people of the state are waiting for good governance of the BJP," West Bengal BJP president Dilip Ghosh had said. Bengal is not TMC's "personal property", the party has no right to make such demands, said another senior BJP leader. With the TMC announcing protest rallies in West Bengal on Saturday against the Assam NRC, the BJP leadership wrote to Union home minister Rajnath Singh and the state chief secretary, requesting them to ensure the safety and security of its members who will arrive in the city for party president Amit Shah's rally. West Bengal Bharatiya Janata Party (BJP) president Dilip Ghosh wrote to Singh, requesting him to urge the Trinamool Congress (TMC) government in West Bengal to ensure the safety and security of the saffron party's workers, who will come to attend Shah's rally and on their way back. 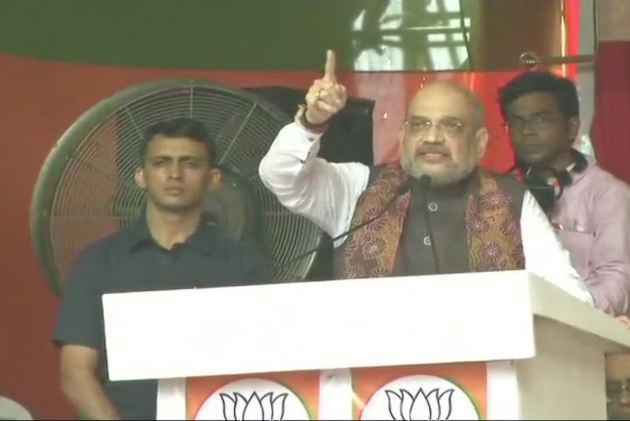 Earlier, some reports emerged that the Banerjee-led West Bengal government had denied permission to the BJP to hold Shah's rally, but later Kolkata Police came in front and refuted the speculations. In reaction to such speculative reports, Shah had made it clear in Delhi that he would not only go to Kolkata but is even prepared to get arrested. Shah said, "It does not matter whether I get permission or not, I will definitely go to Kolkata. If the state government wants, it can arrest me." However, Kolkata Police on August 1 announced that Shah has been granted permission for a public rally in Kolkata. From past few days, the confrontation between the BJP and the Opposition has been undergoing over the release of the National Register of Citizens (NRC) draft list in Assam on July 30, which has left out nearly 40 lakh people in Assam while incorporating names of 2.89 crore people out of 3.29 crore applicants. Banerjee has been consistently disapproving the latest NRC draft. Accusing the BJP of vendetta politics, she had said that the party was targeting people in the wake of general elections scheduled in 2019. She has also accused the BJP of conspiracy against minorities.